Guns and Robots is an engaging free-to-play MMO shooter with an inventive character design and an almost endless list of customization features, combining fun art with nearly unlimited gameplay. Players can move freely all through maps, engage in battles, climb up the rankings and unlock various achievements. They're able to choose their equipment from a huge variety of weapons and over 150 different parts. The incredible battle mechanics combined with funny looking robots add a whole new perspective to the genre. With thousands of potential weapon combinations, the game allows players to fine-tune their arsenal and pinpoint enemies with multiple weapons simultaneously. Customization sets differ regarding durability, damage, energy consumption and ammo supply. The weapons are classified according to their visual specifications. Fun cartoon style weapon suffixes and modifiers replenish the primary options. There are more options to choose from different weapon enchantments in order to craft your arsenal. The robots come in three module classes based on players' assembly. It's also possible to combine various modules from different classes, resulting in a unique robot configuration. Equipped with nuclear reactors, nitro packs and attachable to chassis with up to three tires, the light class is the deadliest class that distinguishes itself from the others on its frail body characteristics and light modules. Middleweight class is a classification for the robot module configuration that can generally serve well in any capacity: offense, defense, death match, race or capture the flag mode. They're versatile, durable and reasonably agile. The heavy class is slow with limited maneuverability but has the most durability which makes it perfect for assisting to the damage output and dodging enemy attacks. 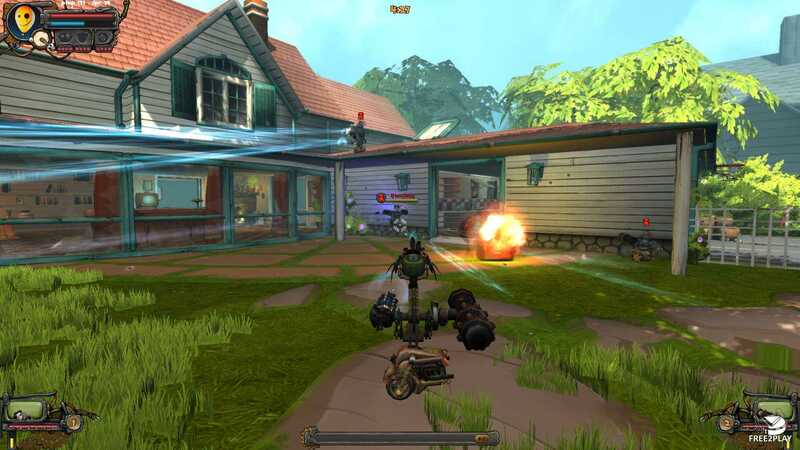 The personal construction site provides players with infinite ammo and the ultimate option to test the robot configuration before entering the arenas. There are all sorts of breakable objects and you can test your shooting skills while assembling. 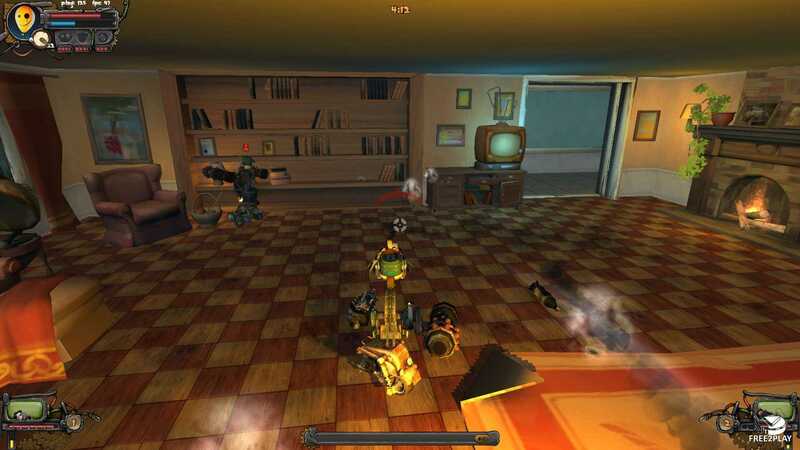 In test mode, players can move the robot around in the garage, feel the movement specifics of the different chassis and choose their favorite build. 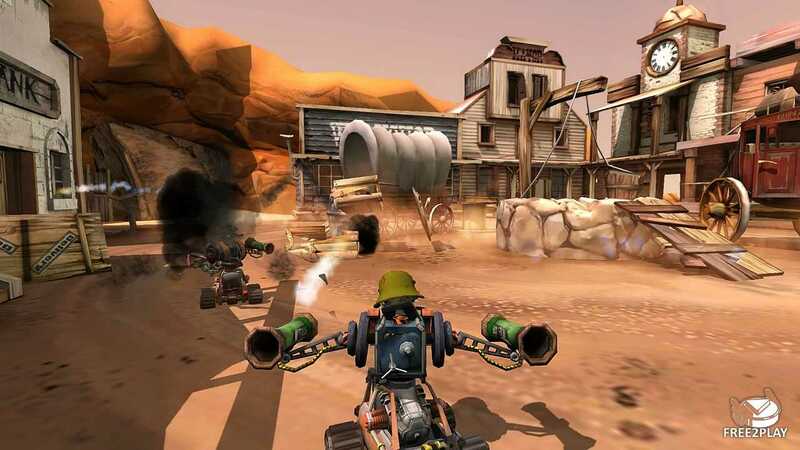 In addition, players can choose to line up for “death match”, race, “capture the flag” and other game modes engaging in high-level real-time combat. The game offers an unprecedented selection of map options. From time to time, collectable spawn at random locations, rewarding players and there are breakable objects as well to shoot at in case the opponent's robot isn't enough. 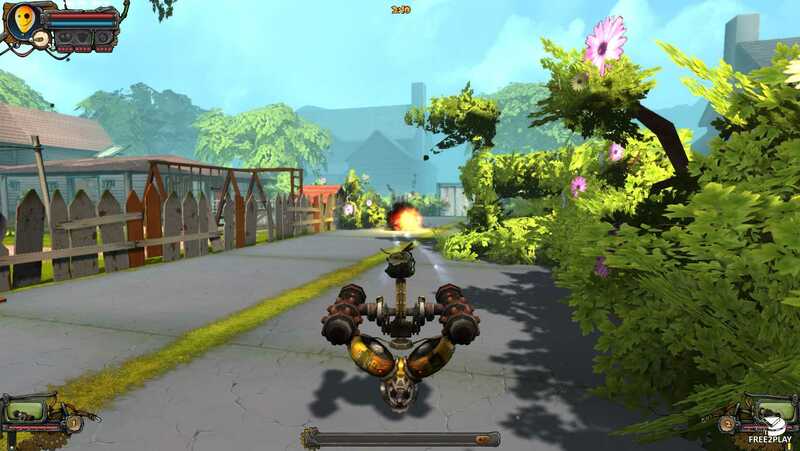 The different maps add a fine mixture of thrill, speed and action to the game, providing a dynamic combat experience.